Oh My God, it's the E-Stim OMG™. Named because of it size, it measures 175mm in length with a diameter of 75mm (3"). It was initially designed purely as a design piece but demanded for use by the more extreme e-stimmers. This premium insertable electrode is not designed for beginners, it's for those who have experience with the large electrodes. There's only 1 E-Stim electrode that's bugger than the OMG and that's the Decimator. 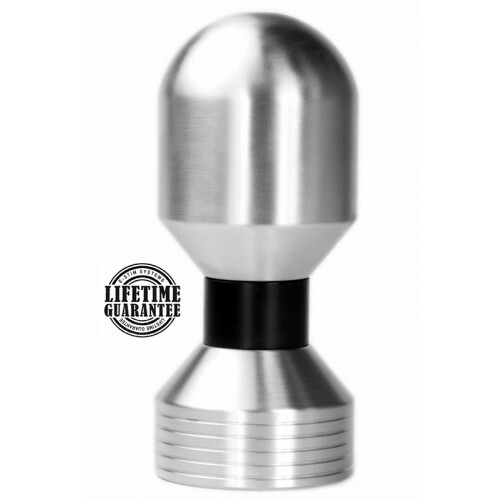 The OMG is covered by the E-Stim Systems Lifetime Guarantee. Metric Overall length: 175mm, Diameter: 75mm.